This print is very special. 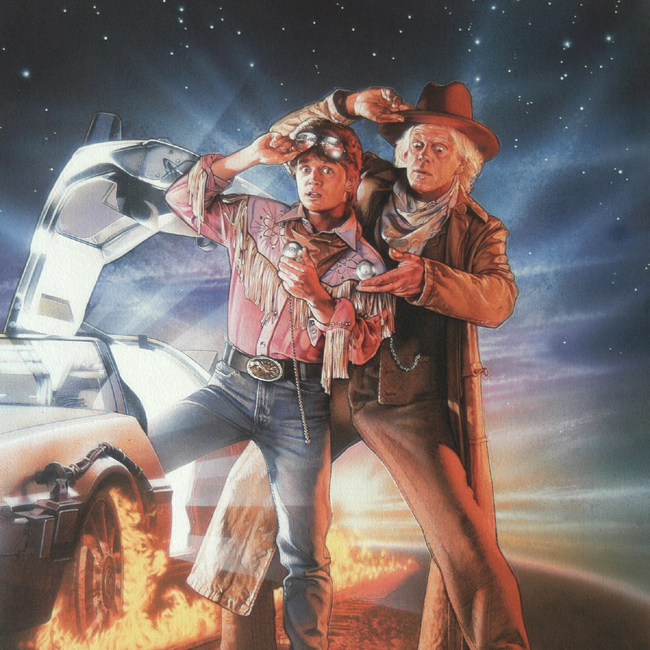 If you are familiar with the artwork for Back to the Future III you will recognize the theme, pose and all except that this varies from the poster used to market the film. There was never a poster with Marty wearing the '50's pink, fringed shirt. The story goes that I had done two finished paintings, one with a daytime background and Marty in the Clint Eastwood outfit and a second painting with a nighttime sky and Marty wearing the Pink shirt. Bob Zemeckis and Bob Gale just couldn't make up their minds. In the end..."We want the night sky and the Eastwood serape". So what to do? Paint a third picture or change one or the other of the two? Make changes! So I had to paint over one of them to make "The one" they wished for. 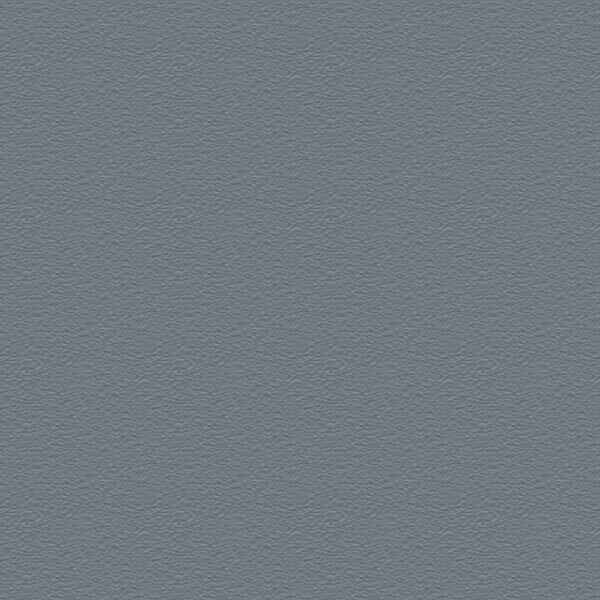 Well, I painted over this one you see so that this picture no longer exists as you see it. I painted out the figure of Marty and changed it to the 'Eastwood' costume. So this Limited Edition Giclee is special in that it no longer exists as an original piece of art. This print is the only record of it's existence, looking identical to what was and is no longer.